CRS customers don’t fall prey to problems when armed with manufacturers’ warranties and guarantees. All warranties require owners to perform certain maintenance procedures and inspections at predetermined times. Otherwise owners may not be afforded coverage under their warranties. Under our Preventative Maintenance Inspection Program, CRS maintains pertinent information required by the manufacturer. 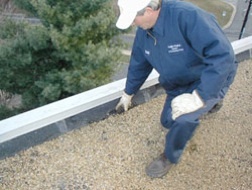 CRS’ scheduled comprehensive roof inspection program results in a detailed report that includes descriptions, early warning signs, drawings, and photographs, as well as a recommended course of action and estimated cost.